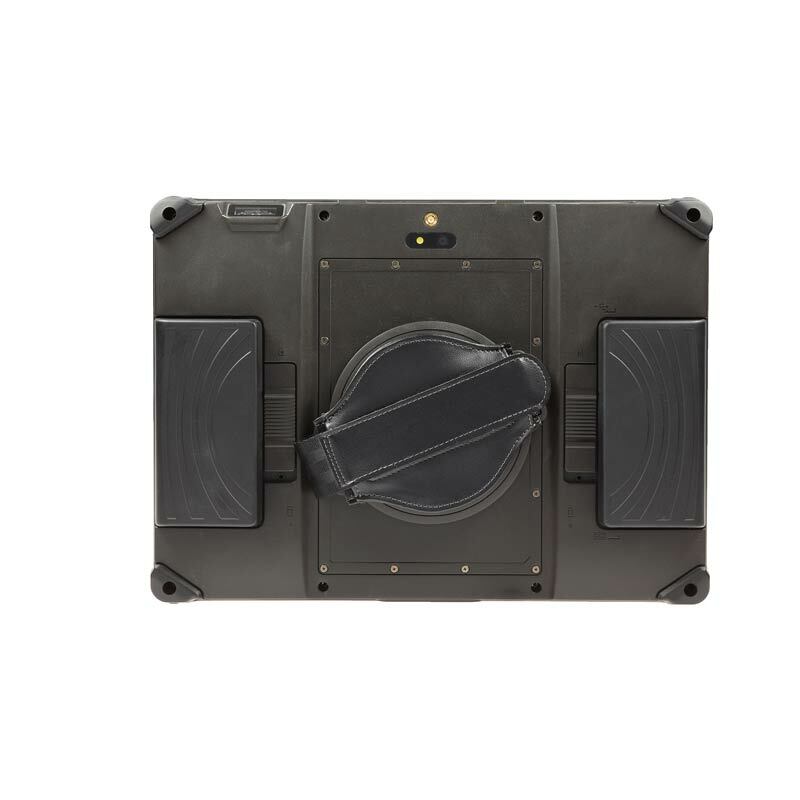 Full ruggedness and reliable data processing – the Advantech DLoG DLT-M8110 is a detachable vehicle mounted terminal with features that are tailored to applications in the warehousing sector. The unit is equipped with 1D/2D barcode scanner and camera. Integrated WiFi and Bluetooth 4.0 guarantee optimal data connection. Either attached to the vehicle docking station or off-vehicle, the versatile unit provides mobile flexibility and advanced data collection and processing options. Developed for warehousing applications, the Advantech DLoG DLT-M8110 excels with high functionality. It comes with a 1D/2D barcode scanner as well as a 5 megapixel autofocus camera to enable fast data collection. The 10.4-inch display is either as projected capacitive touchscreen (PCT) or as resistive touchscreen available. There are 4 double-configurable, programmable keys on the front panel enabling uncomplicated, user-defined access. 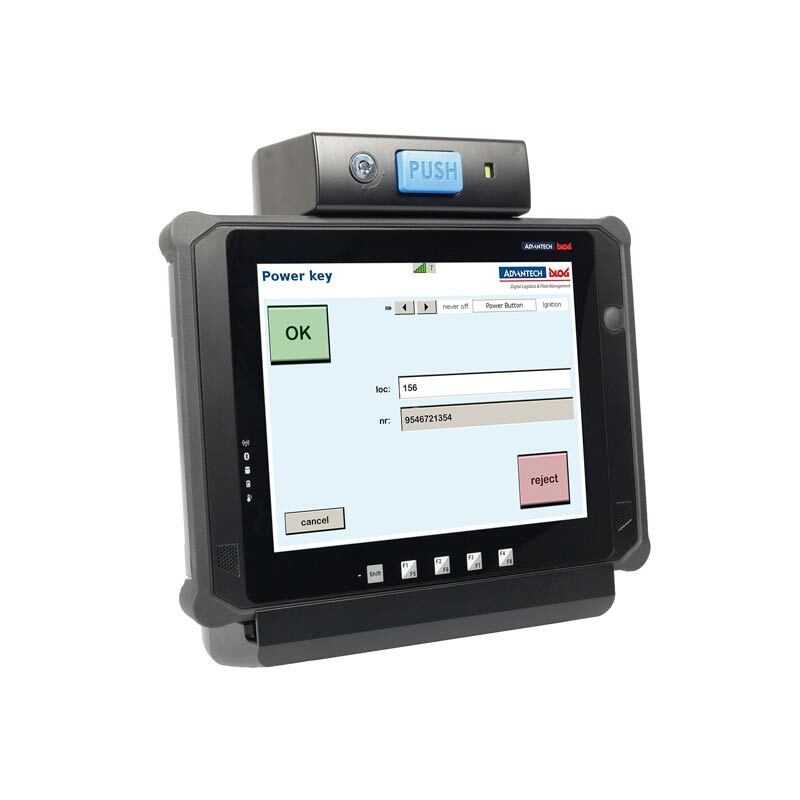 The Advantech DLoG DLT-M8110 vehicle mounted terminal is equipped with a 1.75 GHz Intel Atom dual-core processor with 4 GB DDR3L-1067 and 32 or 128 GB SSD. Choose from a range of Microsoft operating systems: Windows 10 IoT, Windows Embedded 8S, Windows Embedded 8.1 Ind. Pro, Windows Embedded Standard 7, Windows 7 Professional 64-bit. Integrated dual-band WLAN 802.11 a/b/g/n enables VMT-quality wireless connection. In warehousing environments, extremely rugged devices are required. 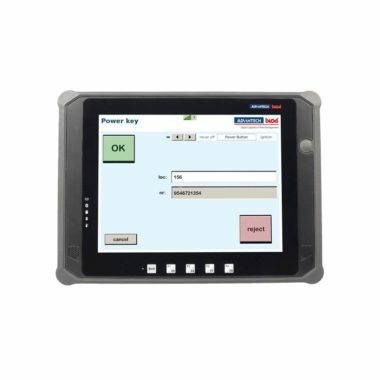 That is why the Advantech DLoG DLT-M8110 mobile terminal including the vehicle docking station are particularly robust. The terminal is tested to withstand vibrations and shocks. It is also sealed against the ingress of dust and water complying with protection class IP65. The Advantech DLoG DLT-M8110 terminal comes with USB 3.0 and SMA for pass through antenna, the docking station is equipped with RJ45, 3 x USB 2.0 (HI-SPEED), 2 x RS-232 and SMA interfaces. Its battery pack is user-replaceable and optionally there is a large battery pack available providing up to 8 hours of energy for off-vehicle use. Due to its hot-swap functionality, the battery can be exchanged without shutting the terminal down. 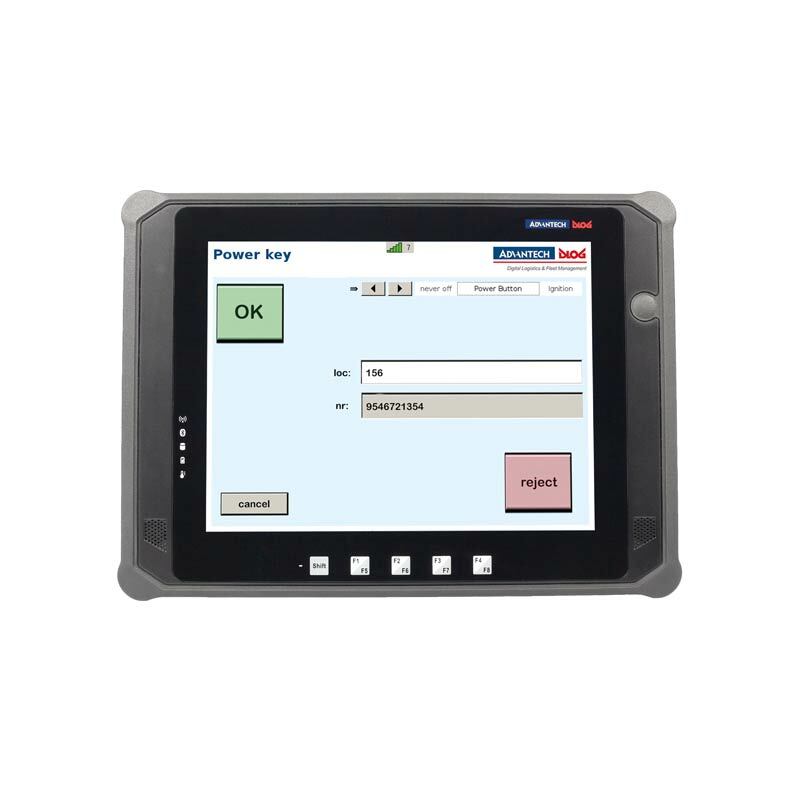 If you are looking for a fully rugged computer terminal that needs to go on board a vehicle, the Advantech DLoG DLT-M8110 provides outstanding all-round performance specially designed for warehousing applications.